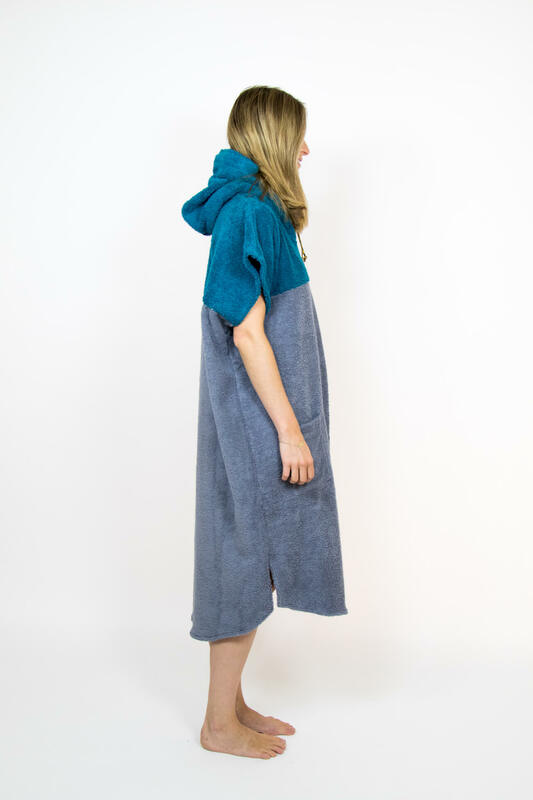 APONCHO is a long Sweater with a hoodie out of frottee, you can use it as a changing room, towel, boardcover or blanket on a cold day on the water. 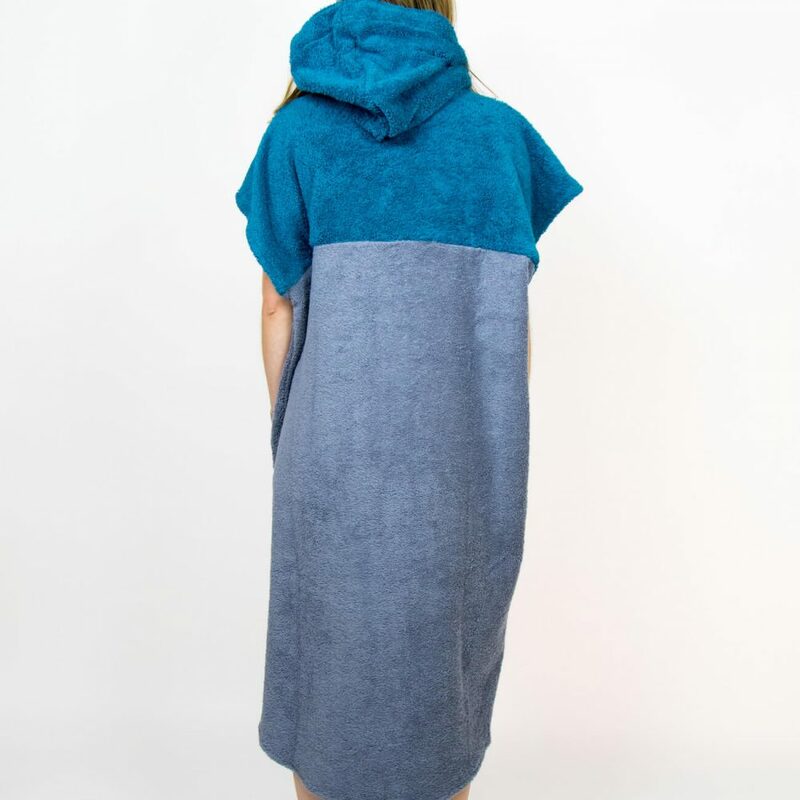 The original thought of the poncho is to use it as a changing room when you take off your wetsuit, cause normally you don't wear anything underneath. Also, the Ponchos have an extra bag inside of the hoodie, to protect the nose. blanket / jacket on cold day on the water! 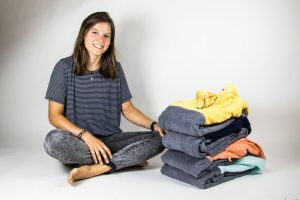 They are not only a practical and useful idea for surfers but also for everybody if young or old, who has something to do with water, and if its just a cosy possibility for “after shower” at home. 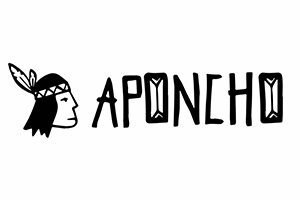 Aponcho is a young sports and leisure label, focused on water and waves. 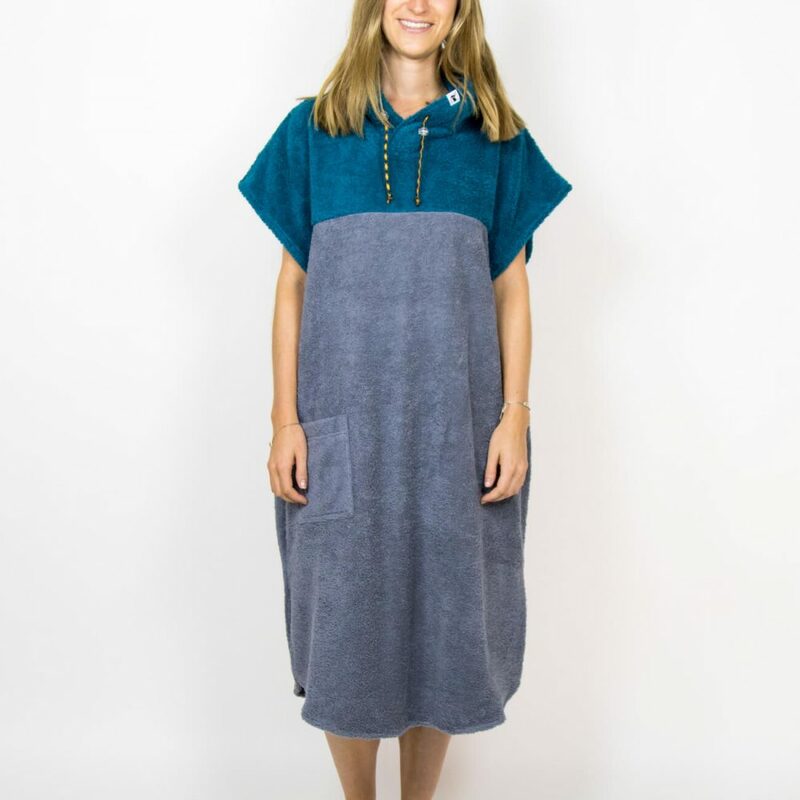 I am Clarissa, a fashion designer from Vienna and one of my main passions is surfing. I’ve started the idea of Aponcho in summer 2015 while travelling through Portugal. Aponcho stands for high quality, handmade productions and individual design. 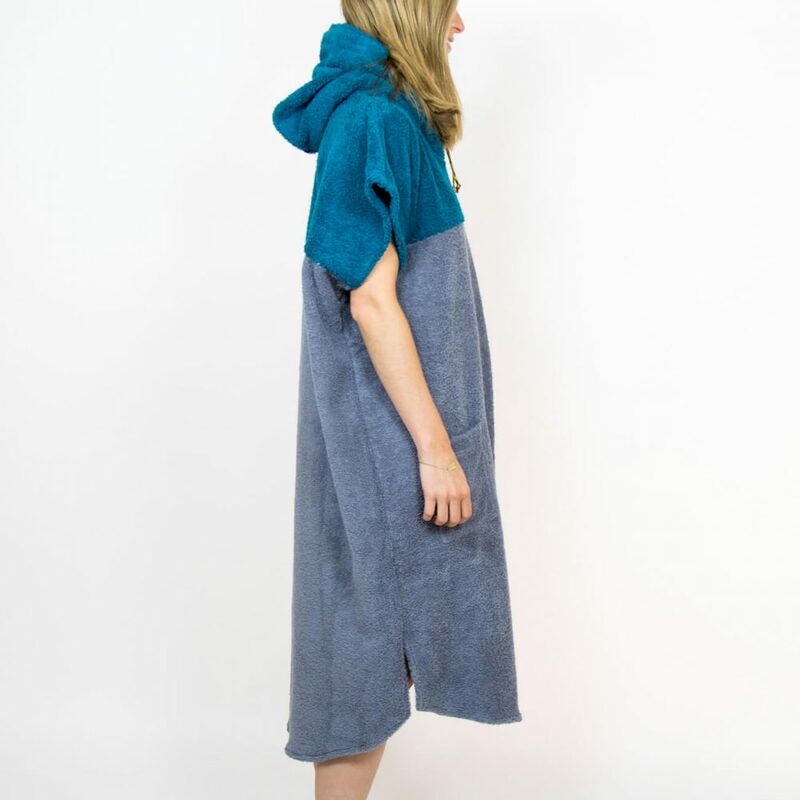 Our main product, the Poncho, is a long sweater with a hoodie, they are made of 100% cotton and the fabrics are produced in Europe. 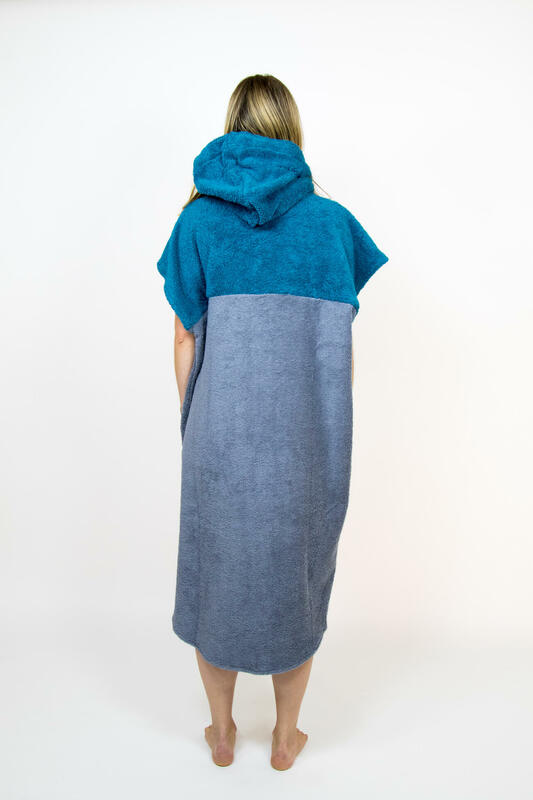 The original thought of the Surf Poncho is to use it as a changing room and towel when you take off your wetsuit. 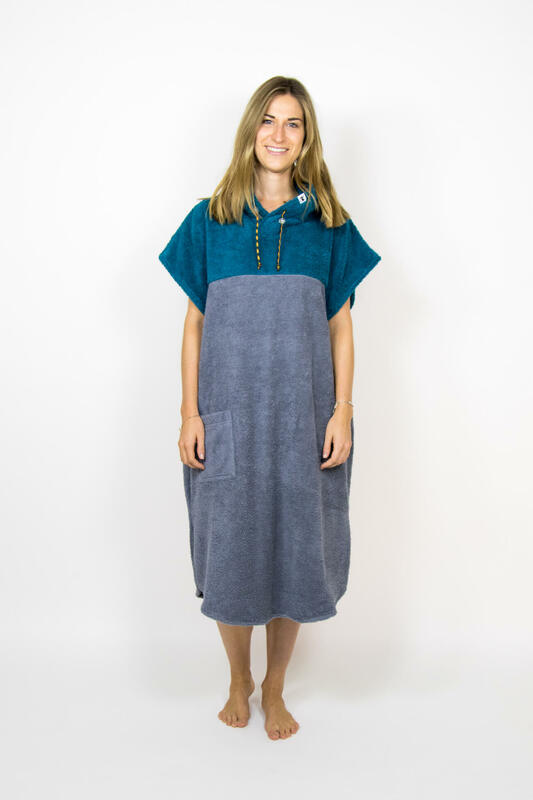 You can also use your Poncho as a board cover to protect it while traveling. 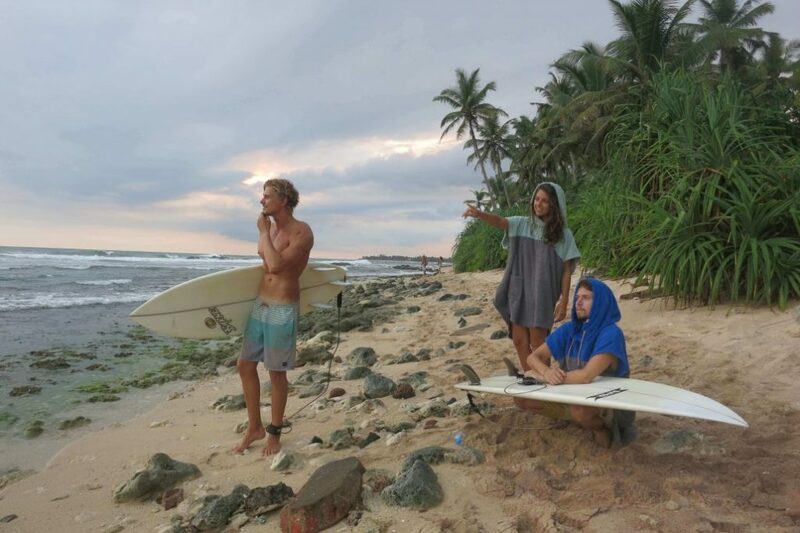 The fabric of the Surf Poncho is produced in Europe out of 100% cotton. One pocket in front, colourful strings with clip-stoppers to change size of the hoodie. 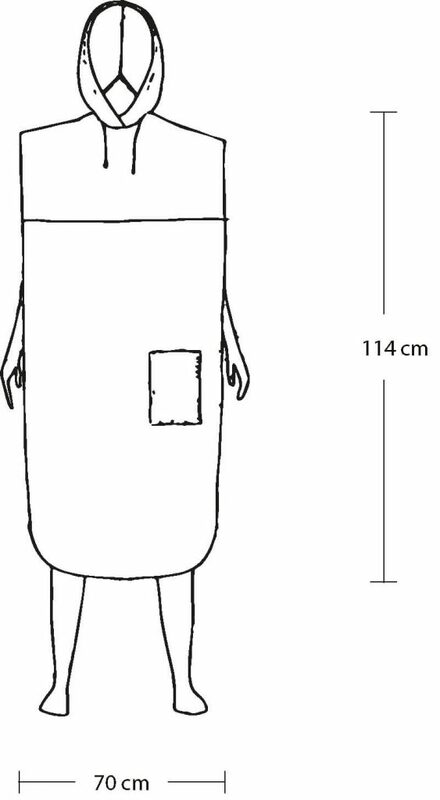 The material is the same as a terrycloth towel. They are very soft and easily soak up water. You can wash it with 40 °degrees.